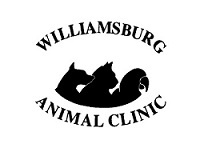 posted: June 27, 2017 by: Williamsburg Animal Clinic Tags: "Clinic Specials" "News"
Canine Influenza is a highly contagious virus that can cause coughing, nasal discharge, and mild to severe illness in dogs. The virus, which emerged fairly recently, is important to be aware of. This article details the cause and spread of Canine Influenza, and how to take preventative measures when it comes to your dog. We hope this information is useful.